It’s currently turkey season in many states. I realize it’s almost over in some and hasn’t started yet in others – but it is turkey season in most states! The temperatures have been warmer than normal in most states so far this spring, as was the case throughout most of the winter. Many GrowingDeer.tv fans told me about seeing turkeys showing breeding behavior earlier than normal this year. That was followed by reports of folks finding turkey nests earlier than normal also. 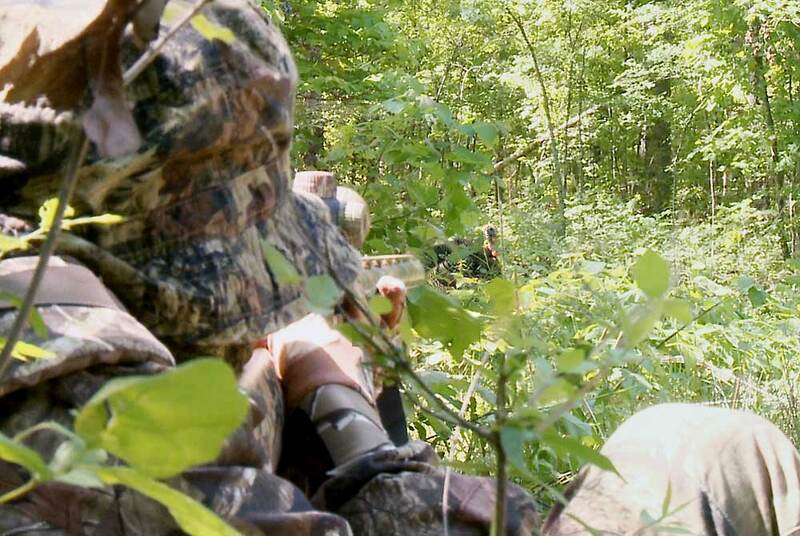 We are just wrapping up the first week of turkey season in Missouri; the gobbler behavior is certainly different than normal for this time of year. This all fits as Missouri University reports that the winter of 2011-12 was the fifth warmest on record. Flowers bloomed earlier, folks were mowing their yards earlier, farmers were planting earlier, and turkeys began breeding earlier. This means turkey hunters may need to change strategies a bit this year. Turkeys may be using different parts of their range this year as hens will be close to nesting habitat. Gobblers will be close to hens, so hunting near nesting habitat (cover from zero to at least one foot tall) is a good strategy. Hens typically come off their nest early during the morning and gobblers will court them. Gobblers will probably be more likely to come to calls after 9 am or so when most hens will be returning to their nest. Late morning hunts may be the most productive! The antler cycle has been different this year also. Bucks throughout much of the whitetails’ range held their antlers several weeks longer than normal – with a few still holding antlers. However, currently most bucks are showing at least 2” of new antler growth. There is no doubt the relatively mild winter will have an impact on antler size during the 2012-13 season. However, the growing conditions this summer will likely have just as much, if not more impact on antler size this fall. One thing is for sure, I’ll be watching antler development each week between now and deer season! I’ll keep you posted what I’m seeing in the field.